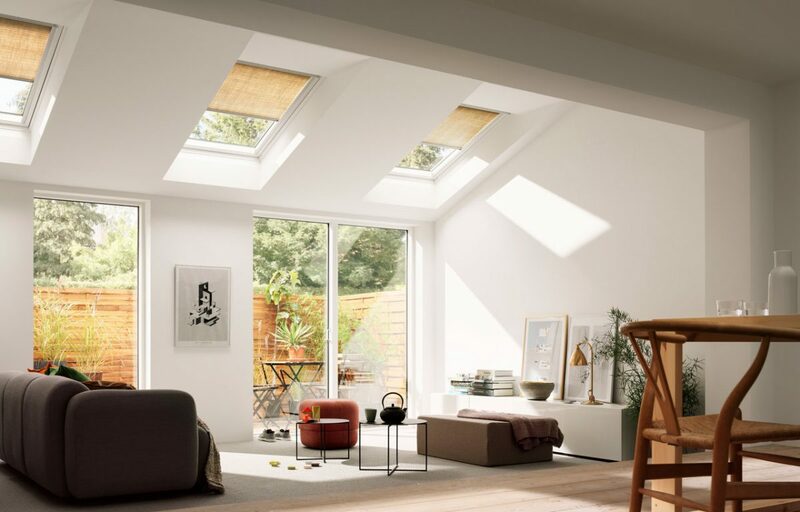 You can see a selection of fully functional remote-controlled skylights & rooflights in our showroom - one the few in the UK with these features. 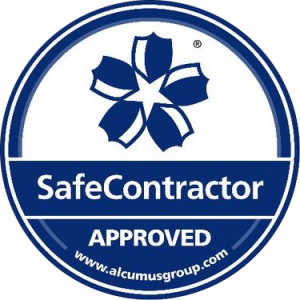 Book a free visit today by clicking below. Systems available 2190, 2195, 8600, 8800. These are suitable for sloping or horizontal windows and are available in a wide range for fabrics from sheer to blackout and in SilentGliss’s wide range of fabrics. 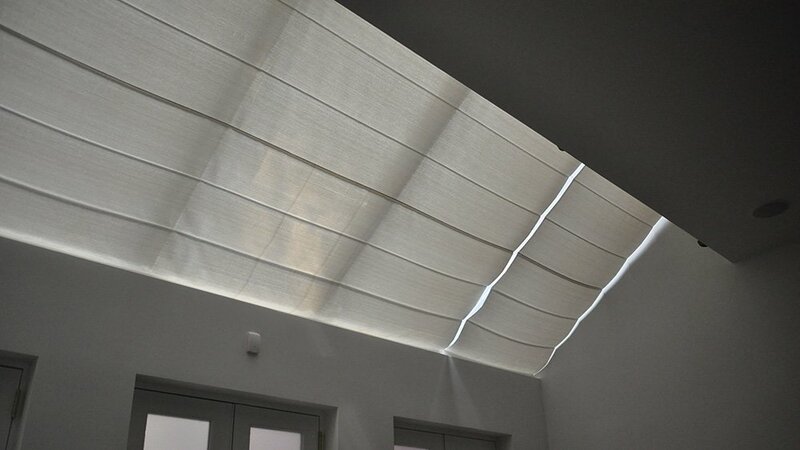 SilentGliss’s range of Pleated Blinds can also be used in these instances. Please see the Pleated Blinds section on our website. 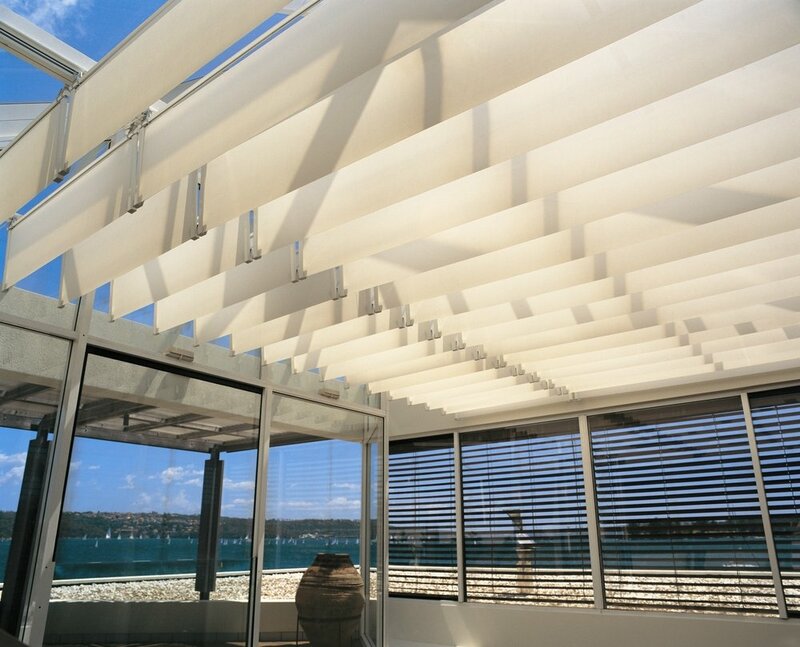 Diaz’s Pleated Blinds are suitable for these applications. Please refer to the Pleated Blinds section on our website. 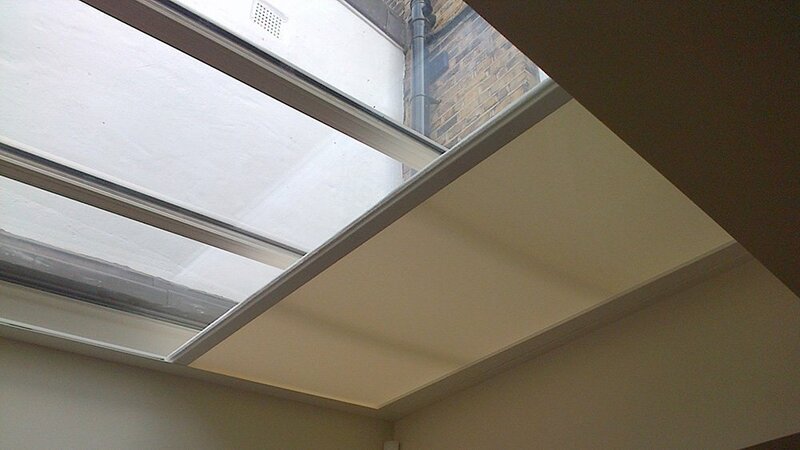 Shy CTS and FTS rooflights can be designed and manufactured to fit virtually any size, shape, angle or age of window. Utilising a wide choice of blind fabrics from screen through to full dim-out. 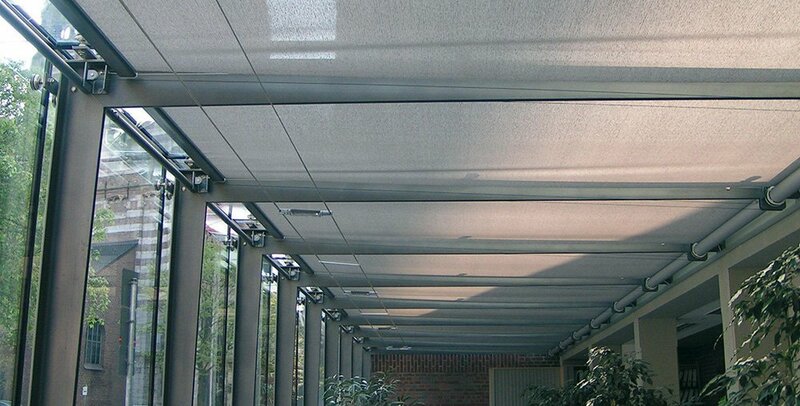 Shy rooflight blinds are used in many commercial installations as well as high-end domestic situations. 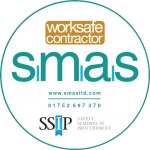 They are ideal when rooflights or skylights are used to provide light but want to be able to control the amount of light and heat. Lutron tensioned blinds provide solutions for skylights and angled windows. The innovative design from Lutron keeps panels taut and parallel to windows with minimal sat at a variety of slopes. Lutron Tension Skylight blinds reduce light gaps around the fabric and maximise the view when open by eliminating cable guides. The frame may be surface mounted or recessed wile still allowing easy access to update the fabric.